We have had non-stop rain and overcast days since we returned to the boat after our trip to Texas. It was OK at first... gave us time to mentally process our visit home. But after a few days, the forced inactivity began to wear on our nerves. We put the time to productive use and did some heavy provisioning. I know, I know... you can buy food everywhere... But after having cruised for a year, we've learned a few things about our own habits. There are things we won't buy again, but there is a whole list of things that we were GLAD we stocked up on, and will do again! I've heard other Cruisers talk about ordering provisions online. Since we're going to be here in Charleston for another month, I looked into several options for ordering grocery items online. After doing some checking around, we signed up for an Amazon Prime membership. After weighing the cost of the yearly membership against the hundreds of dollars we've already spent (and could have saved) in the past for shipping... we figured that the savings on future shipping costs alone would offset the price of membership. Add in the savings for other items we can have shipped to us through their Prime Pantry program and toss in the free music, movies and TV shows... We were sold! Now we understand that we can't have things shipped to us in the Bahamas, nor can we access the video and music streaming while out of the US... but while we're in the US, we feel like we can get enough value to justify the $99 per year. So... without further ado, I started making a list! Lucky for us, we have plenty of spare time... It took us three days to finalize a provisioning shipment... I wanted to make sure that we got the best prices, so I made a provisioning list, went online and noted the Prime Pantry and Prime prices, then we took the huge list to the local Food Lion to compare. It's well worth the savings if you have the time to spend doing the comparing. Once all was said and done, I feel like we got some really SUPER deals by shopping around. The Food Lion has every-day prices that are far below what we've been paying at the Publix stores in Florida. Plus, they have a long list of weekly specials that cut the prices even lower on SO many of the things on our list. 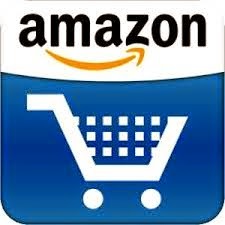 Add in the savings of buying some of the more bulk items through Amazon Prime with free shipping... plus the Add-On items (items you can add to an existing order of $25 or more - usually at hugely discounted prices) and the Prime Pantry low prices... Even Bruce admitted that provisioning now and in this way has saved us a lot. The free video and music benefit is just a throw-in! And... we're DONE! With plenty of time to run and play! Amazon Prime may not be for everybody... weigh the benefits for yourself. But if you buy a lot of stuff online anyway, like we do... Spending a little time, can save you a LOT of money! Oh, and I have no personal connection to Amazon, I'm just a happy customer who likes to share!